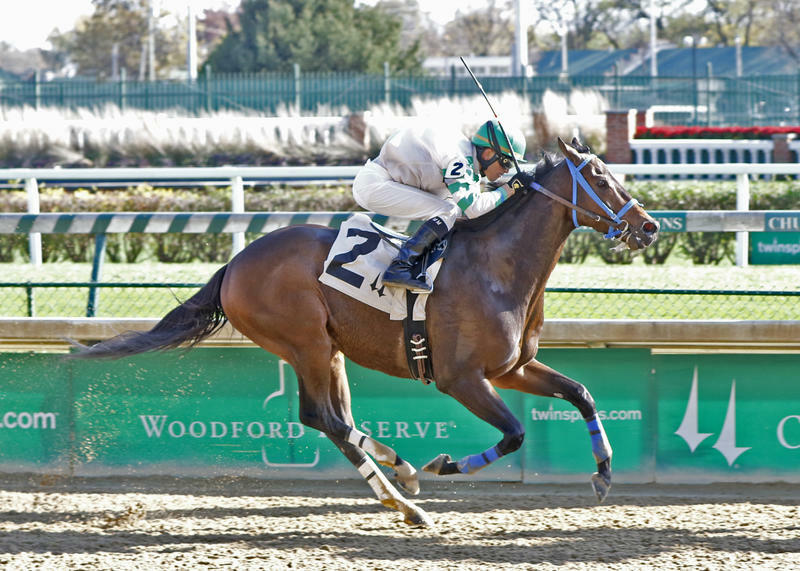 Spalding and Faron McCubbins’ Bullards Alley, a three-quarter length winner of a first-level allowance Thursday at Churchill Downs, will be considered for a start in the $100,000 Commonwealth Turf (GIII) on Friday, Nov. 27, according to trainer Tim Glyshaw. Bullards Alley ran down Flash Trading to win the 1 ¼-mile race in 2:04.88 after the race was transferred from the turf to the main track after overnight rainfall. It was the son of Flower Alley’s first victory since breaking his maiden at Indiana Grand in July. “I thought on paper it might have been a tougher race with Tale of Verve in there and [Mike] Tomlinson’s horse [Flash Trading] drawing in,” Glyshaw said. 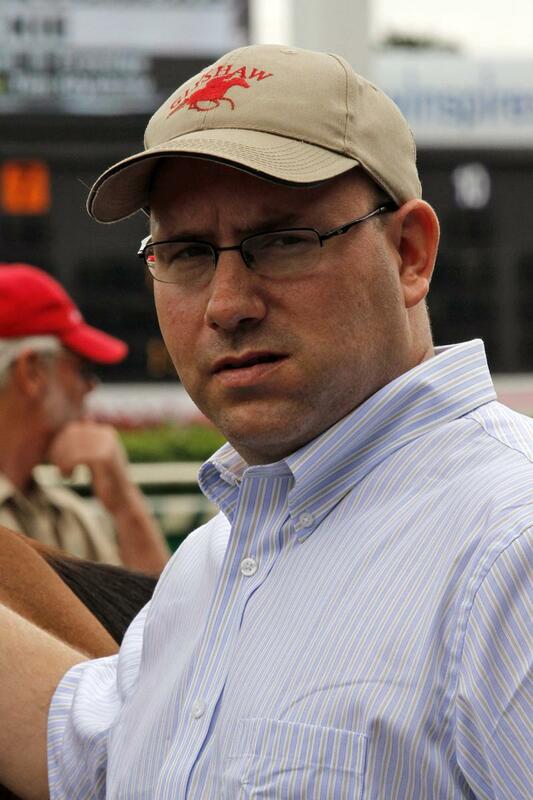 “Our horse had proven at Keeneland and Kentucky Downs to run pretty big numbers on the turf. He hadn’t run those kind of numbers on the main track, excluding a 7 ½-furlong maiden special weight which is obviously much different from a mile-and-a-quarter. We know that he can run on each. I thought that he may have been a little bit better on turf and I still think that, but it’s good that he can run on both. Should he go in the Commonwealth Turf, Glyshaw could be looking at his first graded stakes victory as a trainer. He feels fortunate to have a horse of such caliber in his stable. 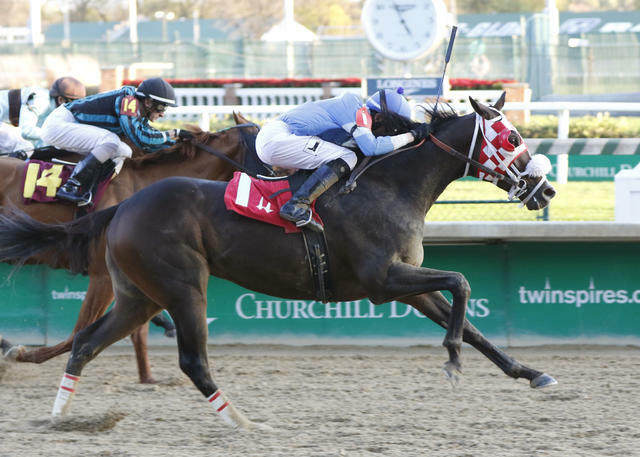 8-YEAR-OLD VETERAN GOOD LORD WINS FIFTH CHURCHILL START – It was a fifth Churchill Downs victory in Thursday’s third race for Thomas Shank and Stan Young’s veteran 8-year-old gelding Good Lord, who made his 74th career start, 22 of which were at Churchill Downs. Forrest Kaelin, the dean of the Churchill Downs barn area, has trained the Florida-bred son of Greatness in all of his career starts. Years ago, Kaelin trained Da Devil, who raced until age 8 and defeated 1999 Breeders’ Cup Classic winner Cat Thief in that year’s edition of the Kentucky Cup Classic at Turf way Park at upset odds of 65-1. Churchill isn’t the only track that Good Lord loves. He broke track records around three different ovals. At Charles Town, he broke the seven-furlong track record when he won the Wild and Wonderful Stakes in 1:22.68, which he still holds. At Ellis Park, he broke the 6 ½-furlong track record in the Don Bernhardt Memorial going 1:14.46. The following year, he won the Super Stakes at Tampa Bay Downs breaking the seven-furlong track record in 1:22.03. Kaelin accredited the horse’s ability to stay sound to his breeding, pointing out that offspring of his dam Dowager Lady can stay sound. “His full brother [Lord of Greatness] is nine and he won a race this year up at Woodbine so that dam can produce horses that last,” he said. Kaelin’s long term goal is to make Good Lord a millionaire. Thursday’s race pushed his earnings to $793,240. MOQUETT LOOKS AHEAD WITH 2-YEAR-OLDS PIRACY AND WHITMORE – Trainer Ron Moquett has found some success this Fall Meet with a couple of his 2-year-olds. Southern Springs Stables’ Whitmore and Harlow Stables LLC’s filly Piracy won first time out last Friday and Saturday, respectively, and have Moquett mapping out a campaign for them both. “I would like to run Piracy here in an allowance race or the [Grade II, $200,000] Golden Rod [on Nov. 28],” Moquett said. “With Whitmore I am leaning toward the [Grade III, $1 million] Delta Jackpot [on Nov. 21], but I’m also looking at the [Grade II, $200,000] Kentucky Jockey Club [on Nov. 28] at the end of the meet. Around this time last year, Moquett was equally as excited about Harry Rosenblum’s Far Right, who would go on to finish 15th in this year’s Kentucky Derby Presented by Yum! Brands (GI). He gave a quick update on how the horse is doing since his last start in July, a sixth-place finish in the Indiana Derby (GII).